Where did inflation go and how do we get it back? As Canada readies for its latest look at the state of rising prices, struggling workers want to know. It used to be that the rules for how inflation worked were pretty simple. Now, as the official statistics show prices stalling at between one and two per cent, a growing number of economists aren't so sure. Tomorrow, Canada gets its latest look at the state of rising prices when Statistics Canada releases inflation figures. But despite a growing number of jobs and a trend toward falling unemployment — both here and in the United States — inflation remains stubbornly low. This flies in the face of an economic principle invented in the 1950s by New Zealand economist William Phillips that remains a basic tenet of the relationship between inflation and unemployment. Phillips noticed that when there was a strong demand for workers, wages got bid up, which allowed the workers to bid up the price of goods in the economy. In other words, low unemployment led to wage inflation, which led to price inflation. When there were few jobs and a glut of workers, prices, and thus inflation, grew more slowly. 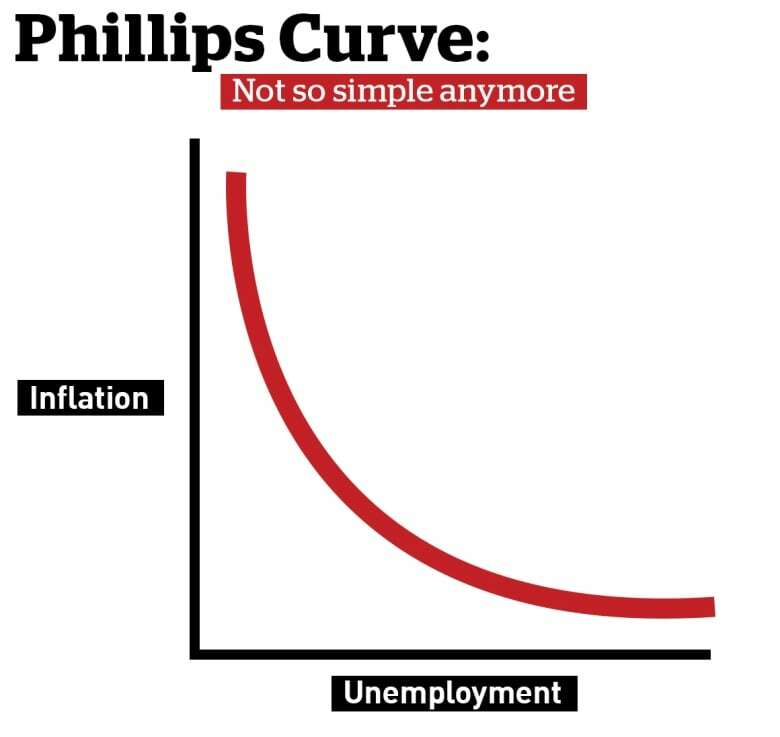 The Phillips Curve was celebrated as one of those simple-but-revealing economic relationships that offer economists a satisfied feeling that they are observing natural laws in action. It also seemed to offer a prescription: High unemployment could be solved with higher inflation. But for some reason or another, that relationship is not working anymore. Ottawa-based political economist Jacqueline Best has just returned from a research trip to the British National Archives, where she had been studying a previous time when inflation failed to follow the rules: the 1970s stagflation, when prices and wages began to soar while jobs declined. "That was the problem of the '70s. Instead of having the nice Phillips Curve trade-off, instead of making a choice between unemployment and inflation, you had both at once," says Best, whose book Governing Failure argues policy-makers have lost confidence that they really have the right answers. After initial attempts to patch up the 2008 global economic breakdown, Best says governments have failed to develop political strategies to get the economy back on track, dumping responsibility instead onto central banks. 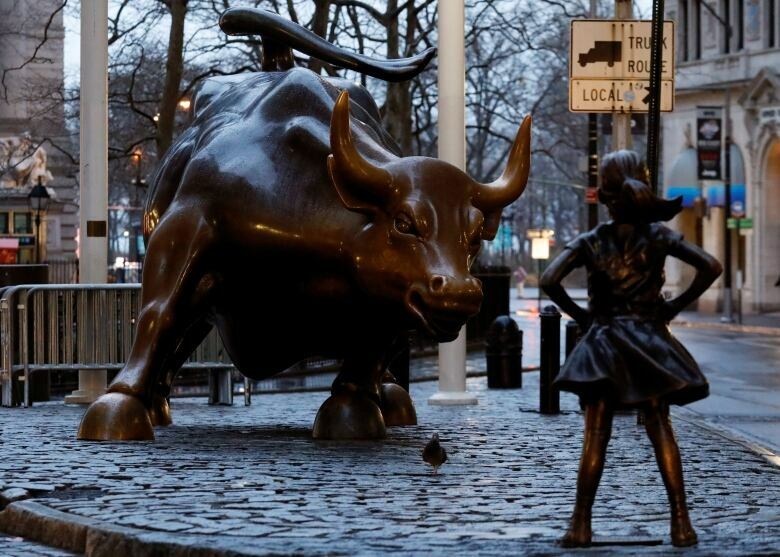 "They said, 'This is politically difficult for us and we don't want to deal with the politics, so we're going to let the central banks do all the stimulus … and we're going to get back to doing what we feel comfortable doing,'" she says. University of Calgary economist Trevor Tombe holds a different view, saying we just haven't waited long enough. Tombe remains a firm believer that more central bank stimulus — so-called lower for longer — will eventually do the trick. But he says a lag between growing employment and rising wages is only to be expected. The concept applies especially in places like Alberta, where shrinking employment in the oil and gas sector means replacement jobs just don't pay as much. "This is widely documented, that displaced workers are re-employed at lower wages," says Tombe. Perhaps the flaw is in the way unemployment is measured, says Herb Emery, who holds the Vaughan chair in regional economics at the University of New Brunswick. In parts of Canada — and in the U.S., where the unemployment rate last month hit a 16-year-low of 4.3 per cent — the statistics fail to account for workers who have given up. "You may see that you actually have a not bad unemployment rate, but it's because people just aren't even trying to work anymore," says Emery. It means those discouraged workers form a pool that must get drawn into the labour force before wages can be bid higher. Another factor may be that an increase in precarious work means modern employees are not in a position to bargain for higher salaries, says Atif Kubursi, a professor emeritus at McMaster who now runs his own consulting business. Meanwhile, central bank stimulus has encouraged the well-heeled to bid up existing assets without creating new assets, he says, thus failing to create new and better jobs. That's partly because despite all the money available to lend, financial institutions have only been lending to the safest borrowers. "Low interest rates have created a stock market boom but [that] did not result in an investment boom," says Kubursi. And as those assets rose in value, they contributed to what he describes as a "terrible and unacceptably skewed income distribution," which leaves spending capacity in the hands of the rich, who fail to spend, instead of directing it to people who would happily push up prices if only they had the money to do so. Kubursi also says that globalization is too easily excused in its effect on keeping wages and inflation low. 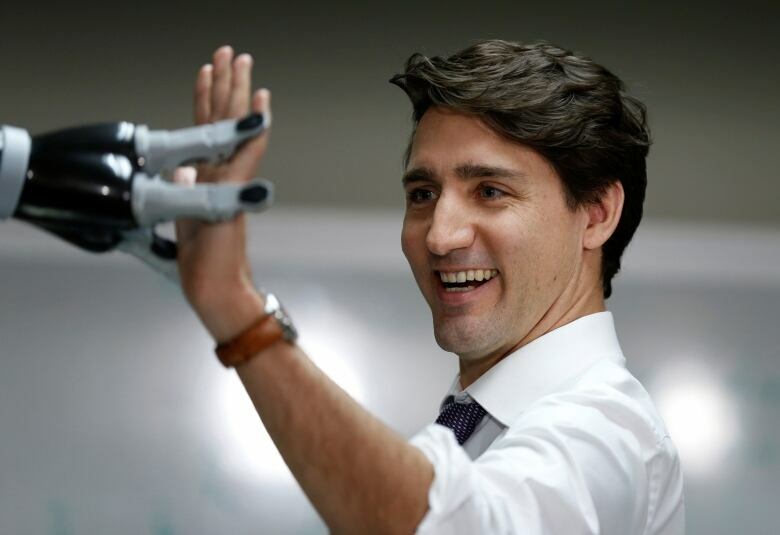 While many argue that technology and robotics are the real culprits, he says staggeringly large cross-border capital flows have weakened the power of national labour forces. And like Jacqueline Best, Kubursi believes governments may have the power to fix the problem — but they must first decide to act.